The SD Lowry Corporation was established as a domestic partner in 2010. The following organizations are doing business as partners and Clients of SD Lowry. SD Lowry Exchange- Information Technology and Business Process Services along with Project and Knowledge Management. Our technical support started in 1994 and offers basic technology and computer related services for beginners and businesses. Our consulting firm is now based on charitable services, previous industry venues and 15 years experience with EDS. In addition we provide live agent support, basic web design, R&D and Cloud services. We are a Microsoft Small Business partner. JazzeOne Production- Entertainment for e-Commerce provides Compact Disc Sales, Musical Polls, Jazz information and commentary founded in 2001. Houseaboutus Real Estate Exchange - GRI Consultants founded in 1989. Provides general real-estate consulting for first time buyers and former customers of our sales group. At present we no longer provide sales associates. Dantzler Holdings -A business management organization for our partners, organizations and charitable foundation. In 2010 it became the charity foundation and financial management organization for the SD Lowry Corporation. 20 Grand Lowry-Amazing eStore' is a Amazon Associate astore™. 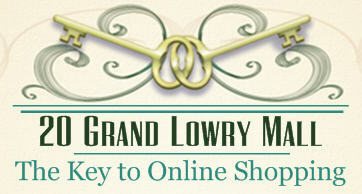 Experience Elegant and amazing online shopping from Amazon.com via our store and the 20 Grand Lowry Mall. Multiple Industry Consulting. Information Technology and Business Process Management and Cloud Computing. Technology Services, Knowledge Process & Management, Project Management support, Website Design. Catering, Private Parties, Food Service Consulting, Restaurant Planning, Menu Design. Jazz History Consulting, Music CD & Vinyl Record sales, EMCEE (Master of Ceremony) and DJ (Disc Jockey). New Buyers Consulting, Seller Assistance, Exterior & Interior Decorating ideas . Store Sales and Product Purchasing.